The Tanzania Extractive Industries Transparency Initiative (TEITI) is an institution established by the TEITA Act. 2015. It started to operate in Tanzania from 2009 when EITI Board (International Board of EITI) admitted Tanzania as an EITI candidate and three years later (in 2012), Tanzania became compliant with EITI global standards. TEITI operates under the Management of Multi-Stakeholders Group (MSG) that is a Committee composed of 15 stakeholders; 5 representatives from the government, 5 representatives from Civil Society Organizations and 5 representatives from the extractive industry. TEITI’s Office will be in Dodoma Region. To be the head and accounting officer of the secretariat, and being responsible for implementation of the day to day activities of the committee. Being the Secretary to the Committee it will be his or her duty to facilitate the committee to implement the mentioned functions under section 1.1 above. vii. Self confidence in work planning and decision making; viii. A good feeling for confidentiality and working in a procedural matter.  Attractive remuneration package in accordance with Public service policy and regulations. i. 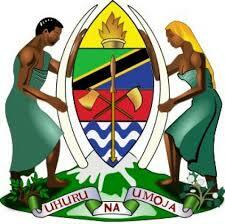 All applicants must be Citizens of Tanzania and not more than 55 years of age.  Testimonials and all Partial transcripts.